Hi, friends there are lot of things which are very important and useful in our life just like TV, AC, Remote and many more. Most of the times thing important things working properly, but some time if these devices are not working properly then you will be disturb. So, in this article today I am sharing an interesting and useful knowledge with you how to check your TV AC and LCD Remote is working or not properly. Many times we are not justifying that our remote is working or not. So let see how to check it. Sometime your remote cell week or sometime your remote is damaged. But how can you know that your remote is working or not, it is so simple. We can not see any light in remote by our eyes, but the phone camera caught this light. This trick base on this fact and it’s useful to check your remote. Step 1. 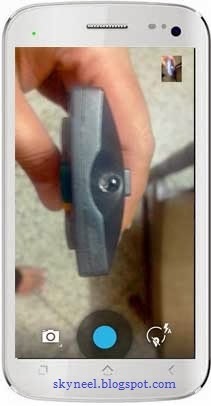 First of all open camera app on your Mobile phone >>> then see your remote top portion in camera like this image. In this part, remote has a LED and and it sends a binary command to TV, AC and LCD etc. Step 2. 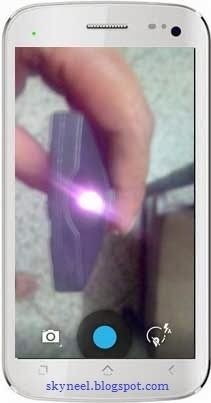 After then press any key of the remote, you will see in the your phone camera, your remote makes a red/pink light. If you will see light on your phone camera with your remote, but your remote is not working, then change your remote battery because your remote battery weak. See this image. If you do not see any light on your phone camera with your remote then change your remote because your remote damage. I hope you like this guide from which you will be able to easily check your TV AC and LCD Remote without any extra efforts. If feel any problem in this guide then please use comment box. Thanks to all.